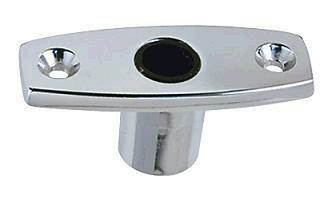 The Perko 1185DP0CHR Top Mount Rowlock Sockets. Features: Chrome Plated Zinc Alloy with Black Plastic Bearings. Length 2-7/8", Width 1-1/8", Depth 1-1/8".